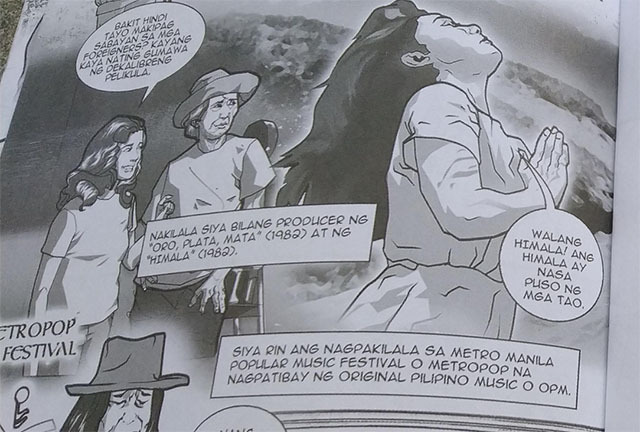 Senatorial aspirant Imee Marcos claimed that she was the producer of critically acclaimed films “Oro, Plata, Mata” and “Himala” in her comic books published months before the campaign period, but a look at the films’ credits lists dispute her claims. 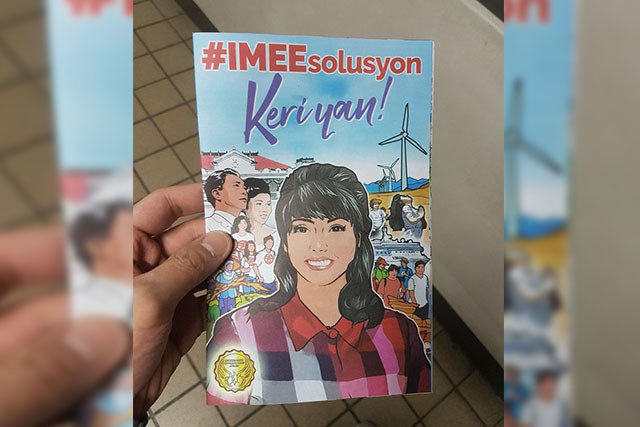 A picture on Reddit Philippines shows that the Ilocos Norte governor has already started to distribute a comic booklet titled “#IMEEsolusyon Keri Yan!” that promotes herself and her past achievements as a public official. Another Reddit user on the thread also linked another post that showed the comic booklet reportedly being distributed along Taft Avenue, Manila. The official campaign period is still months away but current laws on election do not explicitly state that premature or early campaigning is illegal, even if the individual has already filed a COC. Imee’s brother, former senator Bongbong Marcos, also distributed similar comic booklets when he filed for a certificate of candidacy to run as vice president in 2015. It was heavily criticized for its false depiction of the Marcoses being the victims during the People Power Revolution. The comic booklet “#IMEEsolusyon Keri Yan!” features Imee’s past accomplishments as a public official. It recalls her projects such as the “Kadiwa ni Manang Imee” store, the “Manang Imee Capitol Express” and her launching of the Metro Manila Popular Music Festival with Teodoro Valencia, among others. Further verification at the films’ respective credits lists do not show Imee being directly involved in the films’ production. According to the Internet Movie Database, “Oro, Plata, Mata” was produced by Madeleine Gallaga, Charo Concio-Santos and Isabel Sumayao. A screenshot of the producers involved in “Oro, Plata, Mata” as listed by the Internet Movie Database as of Nov. 2, 2018. The Wikipedia page of the movie does not list Imee as its producer either. Meanwhile, “Himala” was produced by Bibsy Carballo, Trina Dayrit and Charo Santos-Concio. A screenshot of the producers involved in “Himala” as listed by the Internet Movie Database as of Nov. 2, 2018. Its Wikipedia page, similar to “Oro, Plata, Mata” does not recognize the senatorial aspirant as the producer as well. Reports have also listed Imee as the producer of the mentioned films in the past. A screenshot of an article published by Manila Times that claim Imee was the producer of several movies in the local entertainment industry. A check at the respective profiles of other movies listed above disputes the claim that she produced it. “Misteryo sa Tuwa” was produced by Madeleine Gallaga, Ching Dacuycuy and Charo Santos-Concio. 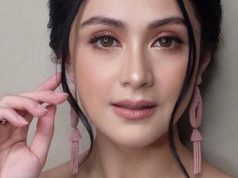 “Soltero” was produced by Bibsy Carballo, Ching Dacuycuy, Ward Luarca and Boy Noriega. 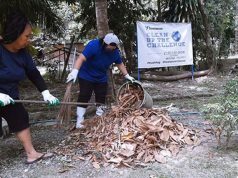 While Imee was also credited for supposedly co-producing “Brutal,” “Scorpio Nights” and “The Boatman,” it is not known whether she actually had a hand in the films’ production or not. Respective credit lists of the films do not mention her in any way. 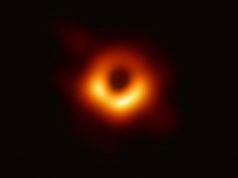 While Imee did not hold a direct producer role in the movies she claimed to have been part of, she was the director general of Experimental Cinema of the Philippines for a short while during the ’80s. ECP was created by former President Ferdinand Marcos through Executive Order 770 with the aim to promote the growth of the local film industry. It was initially supposed to be a production company but it had other administrative duties as well. 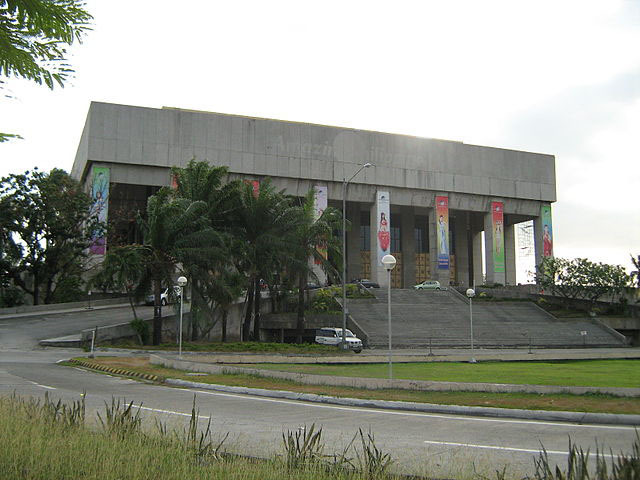 It was tasked to supervise the Manila International Film Festival, manage the Manila Film Center and establish and operate the National Film Archive, among others. 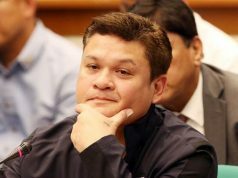 Films that were created under its stead were “Oro, Plata, Mata,” “Himala,” “Soltero,” “Misteryo sa Tuwa” and “Isla.” However, not one of them directly lists Imee as the producer or co-producer. In an interview with an entertainment news website seven years ago, Imee admitted that she was “spoiled” during her supposed stint as “Oro, Plata, Mata” and “Himala’s” producer.